Lesley joined Three Rivers in November 2017 after relocating to Norwich from Surrey. 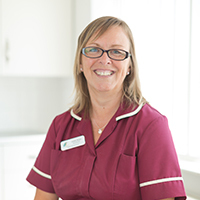 Lesley has been working with primary aged children for 19 years. She has 3 grown up children, one of which has a bearded dragon and another who has a love of rodents. In her spare time Lesley likes taking long country walks, swimming and renovating her new home.